Skills that can translate well in a variety of careers are important in any kind of economy. Design and illustration skills are no exception. “It all started when Scott and I got chickens. I was looking for some cool signs to hang up on the chicken coop, but couldn’t find any; so I made some myself.” Susan used her art skills and came up with eight designs. She started with a small print run of about fifty signs. From there, friends and neighbors started asking her to make more; and they weren’t just pictures of chickens. Colorful images of farm fresh vegetables, horses, dogs, and other animals were soon popping up as well. Her signs became so popular, it turned into a full-blown business. Allovus: Where do you get the inspiration or ideas for your images? Susan: Good question – I don’t know! I just started drawing farm animals and they all had a similar look. Allovus: What medium do you use to create the artwork? Susan: I use Adobe Illustrator. Allovus: Do you have a favorite design? 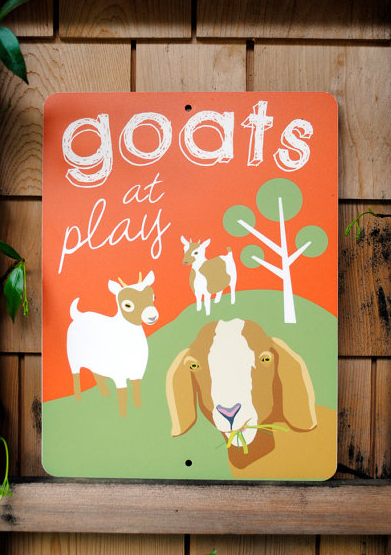 Susan: I like my pygmy goats! Allovus: Where are your signs sold? Susan: All over the U.S….we have stores in Alaska, Massachusetts, Washington, Oregon, California, Texas, Idaho, Montana, South Carolina, Atlanta, and I’ve sold individual signs to Australia, New Zealand, France, Italy and England! Allovus: Are there any other products you sell besides signs? Susan: We are going to start selling mugs, aprons, table runners, bags and hats soon. Allovus wants to know… what are some interesting ways YOU have used your design/illustration skills? We’d love to hear your stories. 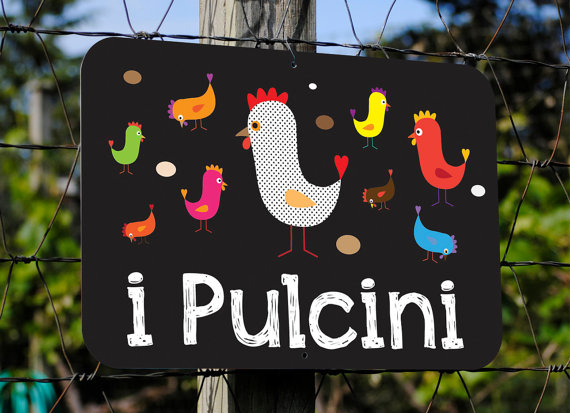 Tags: Allovus, chickens, creative, design, farm, farm animals, icons, illustration, illustrators, signs. Bookmark the permalink.